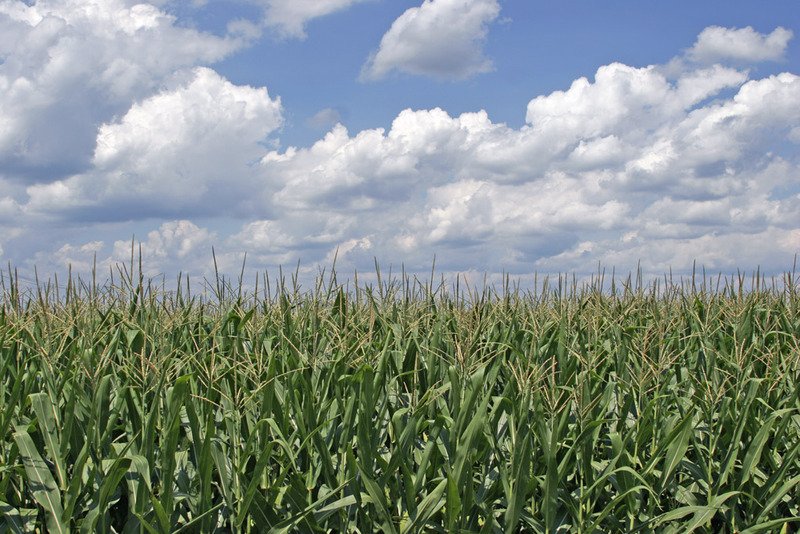 Maize (corn) production continues to be a very important source of food, feed, and fuel all around the world, but climate change has raised the concern about being able to maintain the yield rates. A negative relationship between extremely high temperatures (above 30˚C) and yield has already been observed in various regions. Previous studies have not been able to demonstrate which mechanism causes the correlation between extreme temperatures and yield, thus it is possible that the relationship reflects the influence of another variable, such as precipitation rates. There are other possible explanations for the observed relationships. This study explores the mechanisms used in other studies that document the importance of extreme heat on rainfed maize using the process-based Agricultural Production Systems Simulator (APSIM). The study asks three main questions: can APSIM reproduce the empirical relationships—what farmers are seeing on the ground? ; if so, what does APSIM imply are the key processes that give rise to these relationships? ; how much are these relationships affected by changes in atmospheric CO2? Simulations by APSIM in Iowa demonstrated a strong and significant relationship between yield and extreme heat, characterized as extreme degree days (EDD). This result was observed in other simulations as well, implying the importance of EDD in previous studies. The agreement between APSIM and empirical relationships also implies that it is unlikely that the effects of heat on flowering or respiration rates are related to the relationships because APSIM does not model these effects. Another implication is that the lower importance of total rainfall observed in previous studies may merely be a feature of maize productivity in the evaluated region. The simulations also demonstrated a weak relationship between crop biomass accumulation at the daily timescale and daytime maximum high temperature. This result indicates that the direct effects of temperature on net photosynthetic rates in APSIM cannot explain the importance of extreme heat; rather, daily growth is more associated with the water stress index (soil water supply/soil water demand). July had the most biomass growth, indicating that water stress during this month is particularly important for yield rates. High temperatures influence water stress through their effects on water demand operating through vapor pressure deficit (VPD). The demand for water doubles as the temperature increases from 27˚C to 35˚C. On the other hand, by lowering transpiration efficiency, high temperature causes more soil water loss, reducing the future values of the soil water content and the water supply. Thus, the relationship between temperature and water supply differs on daily and monthly timescales. Another simulation was run to compare the influence of temperature on precipitation. The results show that raising temperature increased water demand in every month and reduced water supply. Large precipitation changes are necessary to offset the effect of temperature on water stress because high temperature affects water demand and supply. The EDD-yield relationship was further tested by calibrating a model to simulations with historical temperatures and then predicting scenarios. Agreement between yield changes in APSIM and this statistical model indicated that EDD is directly associated with low yields through the link of EDD to increased VPD. An important factor that influences water stress in APSIM is the transpiration efficiency coefficient because of how it affects water demand. By improving this coefficient in crops through genetic improvements, increases in CO2 concentrations will reduce sensitivity of yields to EDD. Although increased CO2 levels may reduce EDD sensitivity, there are other factors that may be increasing it. The reduced sensitivity could potentially be counteracted by trends in crop improvements favored in cooler temperatures. More research is needed to understand the interactions between genetic improvements, drought, and CO2. Correlations between EDD and maize yields have been successfully reproduced by APSIM simulations. The overall results of this simulation suggest a minor role for direct heat stress on reproductive organs at current temperatures in the simulated region and that the effects of increasing CO2 concentrations on transpiration efficiency should reduce yield sensitivity to EDD in upcoming decades. did not buy the idea that rainfall during the growing season was less important in reducing maize yield than elevated temperatures, on the grounds that there should have been plenty of water stored in the soil profile available to the maize under the conditions used in Lobell et al.’s model, hence there really was no water shortage that could have caused yield losses. Second, they thought that the evapotranspiration values used in the model substantially overestimated those actually likely to occur. Lobell et al. (2014) demurred, pointing out that the main goal of their model was to try to find out why extreme heat reduced maize yields; did the heat damage the plants directly, or was something else going on? Basso and Richie did not address this point. Furthermore, Lobell et al. argue that their model is well-equipped to estimate soil moisture, and that there is plenty of evidence in the literature for evapotranspiration levels that their model runs used, but they note that other models of the same sort may be less sensitive to extreme heat than both the model they used and observations on the ground have shown. In any event, it is clear that there are many considerations involved in trying to predict the effects of extreme temperature on crop yield, and these researchers will have plenty to do going forward. Basso, B., Ritchie, J., 2014. Temperature and drought effects on maize yield. Nature Climate Change 4, 233-233. Lobell, D.B., Hammer, G.L., McLean, G., Messina, C., Roberts, M.J., Schlenker, W., 2014. Reply to ‘Temperature and drought effects on maize yield’. Nature Climate Change 4, 234-234. This entry was posted in Agriculture, Atmospheric CO2 levels, Biological Effects of CO2, Biological Effects of Warming, Christina Whalen, Emil Morhardt, Food security and tagged APPSIM, Bruno Basso, Carlos Messina, Center on Food Security and the Environment, Climate change, crop yield, David B. Lobell, Drought, extreme heat, global warming, Graeme L. Hammer, Greg McLean, Joe Ritchie, maize yield, Michael J. Roberts, Michigan State University, Pioneer Hi-Bred International, Queensland Alliance For Agriculture and Food Innovation, Queensland Department of Agriculture, Stanford University, The University of Queensland, University of California Berkeley, University of Hawai’i at Manoa, Wolfram Schlenker by Emil Morhardt. Bookmark the permalink.